This diffuser looks sick! 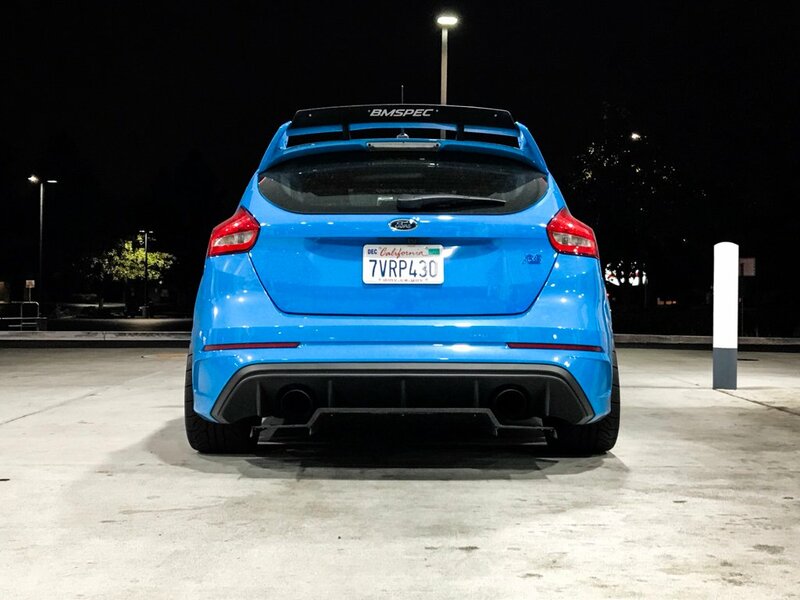 How much does this diffuser cost? And how much of a difference do you feel at the higher speeds? Back to the original topic, has anyone figured out how to wire this up to a stock (US or Euro) switch? I want to throw rear fogs in my light housings as there is an open spot for the USDM ones. I bought a UK light switch with the rear fog switch to throw in when I figure it all out, I want to the keep the car looking as OEM as possible. We at least have the indicator on the dash, so I imagine if it's figured out the BCM and the dash will acknowledge it and power them. I have a 2011 wiring diagram and it has an alternate use (secondary tail light IIRC) on the US market models. I imagine it's a FORScan option, or maybe I'll get lucky and the wiring to the controller is different (like the euro radio fascia for the DISP button). I haven't taken anything apart yet to look. But it seems that I'll have to take the interior apart and trace the wiring back to various connectors to figure this out. Not the first time I've done this type of thing on cars before, but it's one of my least favorite things to do on a car. Check out the other rear-fog light thread for all the info needed to wire the foglight and setup support in the BdyCM with forscan.